Chiropractic care is based on the principle that your body has an innate balance, an ability to self heal and self regulate, called homeostasis. This ability is enabled by the body’s master control system, the brain and nervous system. 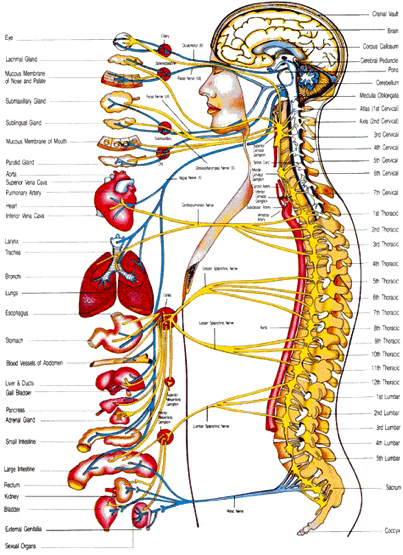 The brain and nervous system is supported and protected by the spine. If the spine becomes misaligned or subluxated, optimal homeostasis can be disrupted. This means that your body’s ability to self heal and regulate are compromised. Chiropractic is a method of correcting these misalignments thereby allowing optimal function and performance. The Backfit Clinic is a comprehensive spinal health care facility specializing in chiropractic. Whether you suffer from chronic back pain, have an acute disc injury, or want to improve your posture and biomechanics – we have a solution for you. Our knowledgeable and caring team is here to deliver the best in chiropractic care. From pain relief to optimal health, we will guide and support you in meeting your goals. Backfit’s team of chiropractors, kinesiologists and exercise therapists have been on a collective journey to seek out and synthesize best practices in the field of spinal health for the past 10 years. We believe in imparting knowledge to all patients, enabling them to become empowered when it comes to their own spinal health. That’s why the Backfit team’s mission is to “create the most informed, educated, and empowered patients in health care!” If patients understand how their body works, then they can collaborate with their chiropractor to design an individualized care plan that will lead to the maintenance of optimal spinal health for a lifetime! The Backfit team uses evidence-based techniques and implement research-based exercises to treat both acute and chronic spinal conditions. Our high regard for constantly developing technology and techniques ensures that our patients receive the very highest quality care. The spine plays a very important role in protecting and supporting the nervous system – the mechanism by which your brain controls and communicates with the rest of your body. If your spine is not properly aligned, then the brain is unable to optimally communicate with the rest of your body via your nervous system. A wide array of problems can arise from a misalignment, including dysfunction of internal organs, muscle spasms and pain. In today’s society, a tremendous level of education and emphasis is put into the lifelong process of taking care of our teeth. At Backfit, we envision the same level of care and prevention put into the most delicate and important system in our body… our spine and nervous system. Here at Backfit, we not only seek to get you back to health, but to also ensure that you have the tools to keep you there.